Written by Jennifer L. Gaudiani, MD, CEDS and originally featured on the Project Heal blog. 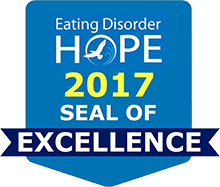 There are so many medical complications that can occur in eating disorders and in the caloric restriction that can come with disordered eating. Let’s simplify our understanding and take a 30,000-foot view. To illustrate this concept, I’m going to use the concept of the “cave person brain.” From a not-very-neuroanatomical perspective, the “cave person brain” is the part of your brain that manages all the aspects of your body that you’re not consciously aware of. I call it the “cave person brain,” because it has kept us alive as a species through millennia of evolution. This first of two posts will review how the cave person brain affects certain vital signs. Your cave person brain slows your metabolism in several key ways, all intended to make each calorie count and reduce needless energy (caloric) expenditure. For one, your body temperature drops. Keep in mind that maintaining the body temperature at almost exactly 98.6 degrees F (37 C) is one of the key physiologic mandates of the body. Our enzymes work perfectly at 98.6 degrees, and the body works hard usually to keep our temperatures exactly there. However, when your metabolism slows from caloric restriction, the body finds energy efficiency in the same way you do in winter: it shuts off heat to non-essential areas. That is, just like you might shut off the heat in a little-used room to decrease your energy bill, your cave person brain clamps down on the circulation of your hands and feet, so that calorie-warmed blood isn’t “wasted” in keeping those non-life-saving appendages warm. Patients who restrict calories can thus end up with cold hands and feet all the time, with fingers and toes even becoming blueish in color, a condition known as acrocyanosis (literally “blue color pertaining to the end” of digits). As restriction becomes more extreme, you might develop fine hair on your face. This is called lanugo, and your cave person brain grows this to try and hold heat in, like a very fine pelt. In addition, you might feel cold all the time, as your furnace cools in the setting of lacking fuel. In extreme cases, the core body temperature actually falls. These are signs that your metabolism is getting really slow…that you’ve starved yourself to the point where you need very few calories a day just to maintain your body weight. No one wants a slow metabolism. It means that your body might need only 500-700 calories a day just to maintain weight. From my perspective, anything less than 1500 calories a day represents a deprivation diet, and your body will respond as described above. This explains why those who diet stop losing weight. Their metabolisms slow to equal their intake. It can explain, in certain cases, why caloric restriction stops causing weight loss in those with eating disorders, to the individual’s profound dismay. Their cave person brain defends that body weight fiercely, bravely saving a life. The key to jumpstarting the metabolism again, to warming up that body and resolving heart rate extremes is … eating again. Nutritional rehabilitation fixes all these problems, and often results in a hypermetabolic state! I like to remind my patients with anorexia nervosa that, amazingly, when they really eat enough (under the care of a dietitian), their metabolism can speed up so much that it’s like that of a 12-year-old boy playing three sports! In part two, I’ll talk about some of the other ways that the cave person brain responds to the challenge of starvation. In the meantime, if any of this is happening to you, seek help. Be brave and get into good care. Your cave person brain will thank you. Sign up to stay in touch! Get news and updates from the Gaudiani Clinic delivered to your inbox. © Copyright 2016, Gaudiani Clinic, All Rights Reserved.